Round color-coding labels are ideal for document and inventory control, routing, organizing, highlighting, price marking, scheduling and more. 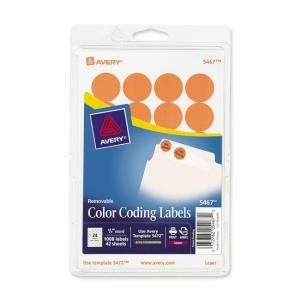 Labels have removable adhesive and come on a 4" x 6" sheet size. Write on or print using your laser printer only.